The Young Labour conference in Scarborough this weekend has seen the triumph of the Momentum Youth and Student slate in the elections for the Young Labour national committee. The sweeping victory of the Left for the first time in 30 years presents an opportunity to create a movement capable of attracting not those who want careers in politics but those who were enthused in such large numbers last summer by the prospect of a new kind of politics. Unfortunately it is marred by the dirtiest contest for an internal election I have ever witnessed. What the Labour Party needs is a generation of activists motivated by idealism and hope with the ambition to make the world a better, greener, more equal place, with communities that care about peoples’ needs, and workplaces that develop skills and offer secure jobs with proper wages. Not another, much smaller generation of people who would provide yet more identikit MPs in suits, of whom the British public have already seen too many. On the national committee, of thirty three seats (with the NEC representative still in doubt) only six are from the right-wing slate — two seats elected by the conference, three Labour Student reps and one young Fabian. All eleven seats elected by a one-member one-vote ballot of all young members of the party to represent Scotland, Wales and the English regions were left candidates as is Caroline Hill, a primary school teacher, who was elected as chair. Although the result of the election for Young Labour‘s representative on Labour’s national executive was declared with the Progress/Labour First candidate Jasmin Beckett winning by the narrowest of margins, 49.55% to 49.41% for Momentum‘s James Elliott, with 1.05% declared as spoiled ballots, the result is still hotly disputed. The wafer-thin winning margin could have been overturned by a single student or union delegate. Last night, James Elliott sought a recount but was refused by the returning officer, Stephen Donnelly (until recently Chair of Scottish Labour Students leader and a recruiting serjeant for Progress accused of bullying young students in the process), in a manner described as “rude” and it is expected that the declared result of the election will be challenged, as it already has been by Unite, in a number of formal complaints this week about the way the election and the conference was conducted. The charges of antisemitism made originally by the resigning co-chair of Oxford University Labour Club (OULC), Alex Chalmers, on 15 February citing the club’s decision to endorse Israel Apartheid Week (IAW) as the immediate cause but also claiming that “a large proportion of both OULC and the student left in Oxford more generally have some kind of problem with Jews.” This was later actively used against two candidates in Young Labour elections, James Elliott and Max Shanly, though early reports in student newspaper Cherwell, the Mail, Independent, Telegraph and even Guido don’t mention them and later reports which do mention them are remarkably lacking in actual allegations. Now some, like former Young Labour NEC rep Bex Bailey writing in the Murdoch Red Box supplement to the Times argues that this demonstrates that “both sides are claiming foul play“. Party officials have in effect made the same assumption by refusing to disqualify Jasmin Beckett from the election which on examination of the evidence presented in the second complaint alone looks like an open and shut case. This is in my view quite wrong. I do take charges of antisemitism very seriously but, as I argued this week in the Jewish Chronicle, there are several reasons for not pre-judging as valid the charges of antisemitism and especially as applied to James Elliott (and Max Shanly), not least the fact that they have been deliberately whipped up by people whose primary interest has been to damage them in internal Labour elections – an appalling trivialisation of the serious charge of antisemitism. I confess I am prejudiced in this matter – I know both well and judge them both to be utterly innocent of this charge. In January 2014, then-President of Oxford’s Israel Society, Richard Black, accused the entire Palestine Society of antisemitism, based on one rogue post in a Facebook group by a non-Society member. I saw the post, immediately told the Society President that I found it offensive and wanted it deleted, and she happily complied. Black was later condemned for his behaviour by a majority of Israeli Oxford students in a letter arguing that “Black’s actions do not reflect the opinions of Israelis in this town.” I wrote my article to insist that Black’s allegations were misleading. Opposing anti-Semitism and supporting Palestinian human rights are for me inseparable. As I commented to Jewish News earlier this week: “I was very concerned to hear allegations of anti-Semitism within OULC and I am glad the Club is taking these claims very seriously and investigating them.” Anti-Semitism is always reprehensible, and let me say this clearly: it is abhorrent whether it comes from the far-right or from people proclaiming their solidarity with the Palestinians. I am deeply distressed at the thought that anything I wrote could ever give succour to antisemites. When I complained that Richard Black was using allegations of racism dishonestly, I should of course have made crystal clear my view that antisemitism is no political football: it exists across society, and it’s a vile poison. I really regret not saying that in the article and I was wrong to say what I did and apologise fully for that. Learning from these experiences, I am proud of my record in fighting antisemitism. Furthermore, as Rhea Wolfson, former president of both the Jewish Society and the Israel Society at Oxford and newly elected member of the Young Labour national committee put it: “James has gone out of his way to educate himself about antisemitism”. She disagreed with his two-year old article, but she has “full faith” in his opposition to antisemitism. The evidence supplied in support of the complaint against Jasmin Beckett makes very clear that there was an organised attempt to smear James Elliott (and Max Shanly against whom the only claim is based on a report on a scurrilous Oxford student website that he had been disciplined by Ruskin College for an incident which Shanly and also the principal of Ruskin deny ever took place). Unless there is some genuine evidence rather than the rumours and smears presented to date against James Elliott, it appears that there is no case for him to answer. If there are grounds for deep suspicion of charges against James Elliott, there are even greater grounds for suspicion of the independence and reliability of the “enquiry” into antisemitism in Oxford and the as yet unpublished report by Progress member and former chair of Labour Students, Michael Rubin. Though I have not had sight of his report, his girlfriend, Rachel Hollland, is one of those in the screenshots of “Team Beckett” who encourages the collective intention of disparaging the candidacy of James Elliott (on page 6) by saying “He basically says that he doesn’t care if he gets accused of being antisemitic, right?” No report into antisemitism at Oxford University is going to have sufficient credibility unless it is written by someone further removed from the partiality of Young Labour and Labour Student politics. These two lines of enquiry for the Royall investigation (assuming that it is confirmed by Labour’s NEC Organisation committee which meets tomorrow) are not into two equal and opposing cases as Bex Bailey claims. The complaint against Jasmin Beckett,in respect of James Elliott, in effect negates the other. It is difficult to see why the Organisation Committee should not simply disqualify Jasmin Beckett and therefore declare James Elliott elected. Posted in: Labour, Politics, Race/Racism, Social Affairs, Young People. I agree that the apparent slurs and dirty tricks by Jasmin Beckett need investigating first as if they are true (and the Morning Star report was pretty conclusive given the tweets from her it had uncovered) then she should be disqualified by default (there is even a question mark over whether she should remain in the Party given the seriousness of spreading lies about another Party member being a racist). There are of course lots of other questions that fall out of this sorry episode. Why was Beckett being backed by CWU and will they reconsider this support in light of her alleged actions? Also there is the issue of the person she was caught out conspiring with to spread the racism lies, a certain Josh Woolas who I understand was elected as the new Labour Students secretary at the Young Labour conference. Woolas is of course the son of former New Labour cabinet minister Phil Woolas who was convicted and barred from holding public office as a result of his own smear campaign against a rival. Perhaps the son will also now face losing his elected office? I’ve been a labour supporter for years and like to think we’re a progressive movement. 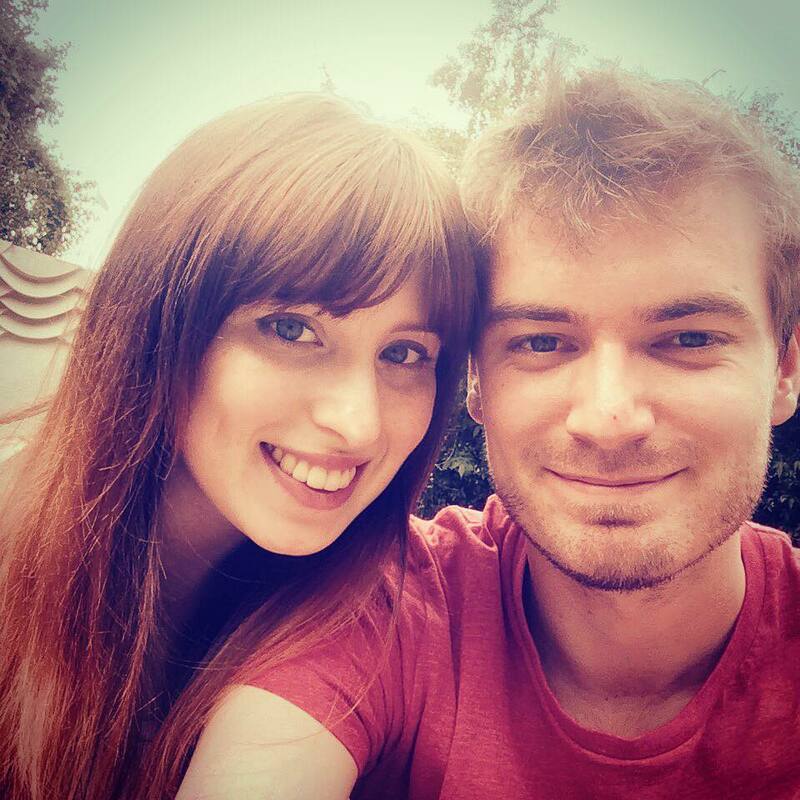 But, referring to Rachel as ‘Michael Rubins girlfriend’ is backwards and sexist. She is currently two year running president of her SU, first person to do this and has held two positions on her student unions labour society previously not to mention serving as women’s officer. I get what the article is trying to say but having such blatant sexism really ruins the credibility. Lauran: My point is that people in positions of public responsibility can be and in this case are tainted by the actions of people with whom they have a relationship. In the case of Tessa Jowell, for example, when her husband David Mills was accused of taking a bribe from Silvio Berlusconi, the ministerial code of conduct tasked her with avoiding the appearance of a conflict of interest not only in her own life but also in that of her spouse. I don’t accept it is any way sexist – it is unrelated to the gender of the person with whom Michael Rubin chose to have a relationship, it describes her as his girlfriend rather than him as her boyfriend only because he rather than her was the subject of this section of the piece and alternative gender-neutral words did not seem to convey the nature of the relationship adequately as it had been described to me. I think it is important to mention people’s (especially women’s) relationships only when it is materially relevant (as it is here). The relationship is mentioned here because of his role not hers, and it most certainly is important – indeed it is one reason why the report has not been published. Interesting that James Elliot’s 2014 OxStu article – which was there a couple of days ago – has now been taken down. Getting rid of the evidence? Fortunately it’s still out there, online – if you know where to find it. Perhaps more telling than his line on “Antisemitism is a tired old accusation from Zionists, retreating behind mendacious slurs when losing the arguments” is the admission: “I don’t like being smeared as anti-Semitic, but I don’t bleed from it either”. Not exactly a confidence boosting statement! John don’t you ever look at the evidence or do you agree with that kind of smear campaign? I like people that ague on issues not smears, do you also believe everything you read in the Torygraph? the anti semitism accusations come from a deliberate conflation of anti Zionism and anti semitism. I am anti the Israeli State which I believe to be an apartheid state that is deliberately stealing ever more Palestinian land, bull dozing homes, tearing up olive trees etc. I am sure that in the State of Israels eyes I am antisemitic! I am not and neither are the hundreds of thousands of Jewish people who also support the Palestinian cause. When you say deliberate conflation, at first I thought you meant some anti Semetic people were jumping on the Anti Zionism bandwagon to use it as away to encourage anti semeticism, which is half the Anti Semites in the labour parties problem. It reminds me of john Lydon talking about the NMe in the 1980’s. the NME is so cynical it probably encourages people to vote Tory, which is good as otherwise I’d worry what the Labour Party stands for if you(NME) support the Labour Party. He would have nothing to do with it were it not for the fact that his son appears to repeating his mistakes when it comes to smearing rivals. Young Labour appears to be a hotbed of ghastly young wannabe careerist Blairite-style politicians of the worst sort. As an oldie it brings back vivid and distasteful memories of the unprincipled young utterly opportunist Right-Wing creatures who peopled the Broad Left in the NUS all too often in the 1970’s and 80’s . Out of that poisonous cohort we got the likes of sell-out New Labourite politicians like Jack Straw and Phil Woolas , and so many others of the “guilty men and women” generation of Blairism (and the now strangely amnesiac about his then fervent pro-Stalinist past – the now reborn “I was a Libertarian Socialist in my youth “, now neo-con enthusiast , David Aaronovich of the Times). The sooner the new rising tide of committed young socialists in Labour Youth forces the latest ghastly recruits to this ignoble political tradition, of endless entitlement and total lack of scruple, back into the neoliberal shadows (hopefully in some other party) , the better. Jack straw the trot,who threw bricks at copper in the 60’s a right wing careerist! Jack has come a looooooong way politically from his one , fake Left cred-establishing, act of 1960’s naughtiness. Even a totally blinkered Right Winger like you must be able to see that, John ? What don’t you agree with that Jack Straw has done politically for the last 30 years ? And you think he hasn’t been a careerist opportunist his entire career , from NUs President onwards ? His son is obviously cut from the same cloth. What is it with the second generation of Labour politicians , from the two younger Benns, to Straw jnr, to the ghastly Kinnock jnr. Opportunist, entitlement obsessed, right wingers , keen to ride the Labour brand to personal prosperity, all. Your contrarian trolling has , as so often, left you posting a comment which makes no sense at all. Please post less , much less, and try to think more, John. Call me whatever you like, John. I would be seriously put out by your approval. Doesn’t alter the fact that you are a tiresome right wing Labourite – incessantly trolling this specifically left-oriented discussion site, presumably just to irritate. The point about the careerist politician, as a breed , Broad Left or otherwise , is that they adopt whatever fashionable pose that the particular moment requires for personal advancement. No-one looking at Jack Straw’s career could conclude other than that the man, and most of his , eventually fully formed Blairite, contemporaries were actually troubled by any underlying principals at all during the various opportunistic “political position swerves” over their careers. We all remember the dreaded David Blunkett masquerading as a distinctly Leftie Sheffield Council Leader back in the day. look at him now. Who can have seen the various pronouncements of Emily and Hillery Benn, Kinnock Jnr, or Straw Jnr, without concluding that these people have no place in standing as candidates for the newly Left-oriented Labour Party. That is what is so refreshing about Jeremy Corbyn – and John McDonnell, the first socialist conviction politicians to lead the Labour Party for many a generation. The newly left orientated Labour Party, JC got 49% of Labour Party members votes, so when Blair got 57% of Labour Party members votes in 1994′ should the hard left have been deselected, and the newly left orientated, pro EU JC, does that mean Jon cryer Kelvun Hopkins shouldn’t be allowed to stand? Tony Benn ,he I matures with age. Would Momentum like to comment on this turn out figure? The soft left has no handle on the infighting in this sector, but will need to consider the implications of an election in which the turn out is so derisory then that would be something to consider. So a little enlightenment please. Did 96.5% of eligible members fail to vote? That election – the one to decide regional reps for the Young Labour national committee – is totally separate to the NEC Youth Rep elections that took place this weekend. As the ballot for the YL section should have automatically been sent to all Party members under 27 (c.51,000 not including the South West where there was no election due to unopposed candidates) there are questions about why participation was so low and I hope these are addressed. Don’t forget that for decades YL was not taken particularly seriously by New Labour, while Labour Students was treated by the right-wing as being a career ladder to becoming an MP. The fact that this has now been shaken up and YL has the opportunity to again find its own voice in the Party just as the LPYS once did is a good thing and will hopefully lead to more active participation at the same time. Just to note that there were serious complaints about the event from both black + ethnic minority youth and disabled youth too. What does it tell you that in reporting on the event Lansman is either, a/ unaware or, b/ chooses to ignore them? 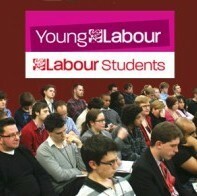 Labour students and Young Labour held their conferences this weekend. These conferences are meant to be open, inclusive and accessible; however this weekend proves this is anything but true. Delegates this weekend have been discriminated against and unfairly treated on a basis of their disability and ethnicities. People have had voting rights removed due to circumstances relating to health issues, events have lacked basic accessibility and minority groups have been consistently disenfranchised and silenced. The members’ concerns have been consistently dismissed as trivial, with staff unwilling to even spare 10 minutes to discuss them. In which respects, (and I believe you completely,) they’re behaving exactly like the rest of labor party; since Blair and Straw had Walter Wolfgang chucked out of the labor party conference and then detained under the anti terrorism laws, (for god’s sake,) simply for calling jack Straw and with uncanny accuracy a damned liar or Milliband had disabled delegates moved off camera to create a photo opportunity for his well heel mates and so on………………. Yes Weston, but you forget that unlike your sneering self Walter Wolfgang has been a proud lifelong member of the Labour Party since the 1940s (I’ve heard him speak a number of times and once spent some time with him in a Liverpool pub while he was waiting for his train back after a meeting and he was great fun to be with), and Walter was also elected to the NEC a decade ago of course, but you with your constant attacks on the Labour Party and socialists in it are not fit to even mention his name. Er, I wasn’t there. I’m just upping this cos few others are (Lansman being one of them) +I note the official party investigation isn’t going to look at it either. It seems clear to me that Jasmin Beckett should be disqualified and James Elliot should be given the position. Re the apartheid system and the occupation of Palestine by the Israeli State well it stinks to high heaven ————- and that is not anti semitism but it is what ever greater numbers of people are coming to believe. And these numbers include huge amounts from various Jewish organisations. Truly, you couldn’t make this up…claims of racism, bullying, anti-Semitism, infiltration, union-fixing, misogyny, class hatred: Young Labour in all its glory! On one level, it’s all really funny, pathetic, inbred, sad, ridiculous – like an episode from the 80s sitcom the Young Ones…. I understand Jan Royall is investigating the Labour students group at Oxford- let’s wait for the results of that – but left anti Semitism is a real and growing problem, even if Jon Lansman deludes himself that it is not. I am tempted to say to Elliot and Shanly and the rest: grow up! They are all an embarassment, really – and they all seem determined to present socialism as self absorbed, puerile, laughable, and crazy. Who cares what these ridiculous people think about Israel/Palestine? If these people are my party’s future, then heaven help us all. Still nothing on the EU and Labour’s position on the referendum? I used to say if you want to leave politics join one of the sects but I think it might also apply to the Corbynistas. in reply to rhys on turnout, there were two elections where the turnout was low, and the link given by James Martin gives the turnout figures. They were for YL National committee regional reps and for the Youth rep on the regional board. The figures understandably are much the same for each, people had two votes and most used them. The NEC youth rep election figures have not been circulated to my knowledge. Where can these be found? I can’t find those, but there is possibly a delay in publishing the detailed breakdown due to the various complaints and inquiry. So far as I know (and I’m happy to be corrected) these results will not be an issue for turnout as such as it was a conference vote by the conference delegates who would have been representing either their region, Labour Student club or a particular trade union. It is the latter category that appears to have had the issue with one person in the Unite delegation and voting with a Unite ballot paper who either didn’t vote at all or didn’t vote in line with the Unite delegation mandate, and given there was there was it seems just the vote of one delegate who separated the two NEC candidates you can see why this has caused a bit of a ‘kerfuffle’.